David Rancatore is the Business Development Manager at Minuteman Press of North Versailles and Shadyside. David Started out as a press operator in training in 2001 and steadily rose through the company. He jumped at the opportunity to go into sales when the Shadyside office opened up in 2012. 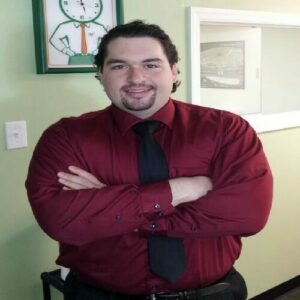 He is currently the Business Development Specialist in Shadyside and North Versailles. and President. He is also a founding member of Toys for Pittsburgh Tikes where he serves on the board as Vice President. 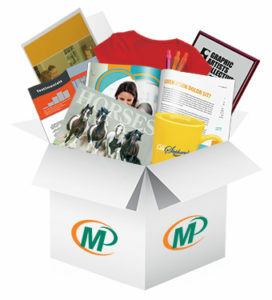 As a member of the Greater Pittsburgh Business Connection, David represents the Promotional Product services of Minuteman Press. Promotional and advertising giveaways, also known as SWAG, are the thousands of products -from mugs to mouse pads- that can be branded with your logo and company contact information. SWAG helps your brand get maximum, long lasting attention. Advertising giveaways are perfect for golf outings and executive gifts, open houses and trade shows. At Minuteman Press of North Versailles and Shadyside, David Rancatore is not only well-versed in all the products and possibilities of SWAG, he can find the right item at the right price and often works miracles to get then to his customers on short notice. In addition to working with promotional products and specialty items, David goes to various networking events to build lasting business relationships. On a day to day basis, David is in charge of general operations of the shop. “I make sure we take care of our customers and keep them satisfied,” said David. Preparing for your next trade show? Or maybe you have a new promotion you really want to boost. Promotional products can get your prospects and customers singing your praises while spreading the word about your brand. Everyone likes something useful for free, and it’s a win for you when it carries your name and contact information. Promotional products have long been a great supplement to any company’s marketing efforts. They can be distributed at events and corporate functions, and Minuteman Press can also assist in mailing them to your prospects along with your next postcard or brochure.